1. 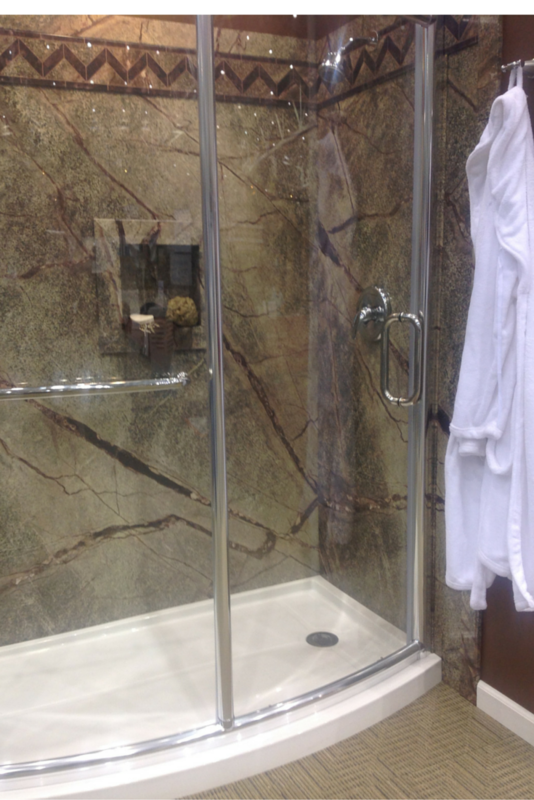 Continuity – Matching countertops, moldings and trim in the bathroom with your shower or tub enclosure can visually bring the space together (note the stone solid surface material can be a good selection to accomplish this objective since there are counters and moldings available to match). 2. 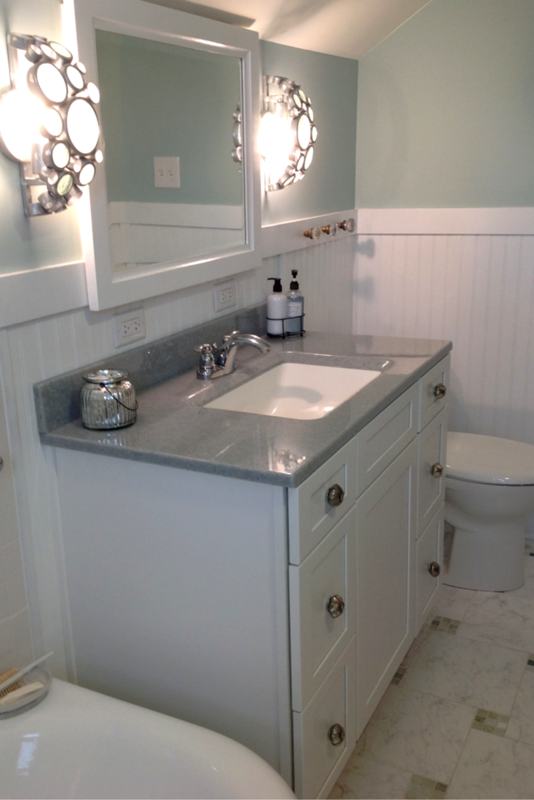 Color scheme – Borders can be coordinated with colors in the bathroom to develop a consistent look. 3. Waterproofing – Applications like corner trim or a decorative piece at a horizontal panel seam can provide the dual benefit of a distinctive look and provide an additional layer or water protections at the corners or seams. • Stripes or borders – This is the most common decorative choice. 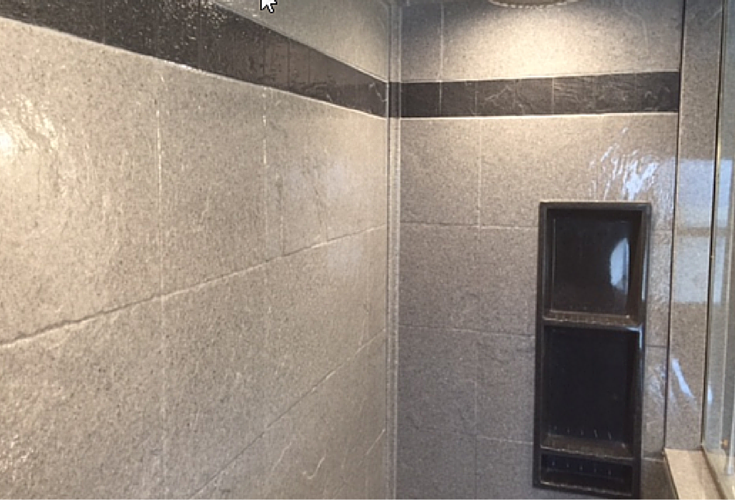 Depending on which wall panel you choose this border can be smooth like a stone or have the appearance of tile (without the actual grout joints). • Crown molding – A nice feature for a traditional home. The crown molding is only available in the stone solid surface line. • Edge trims – This trim provides the sophisticated look on the outside and top edges of the panels. 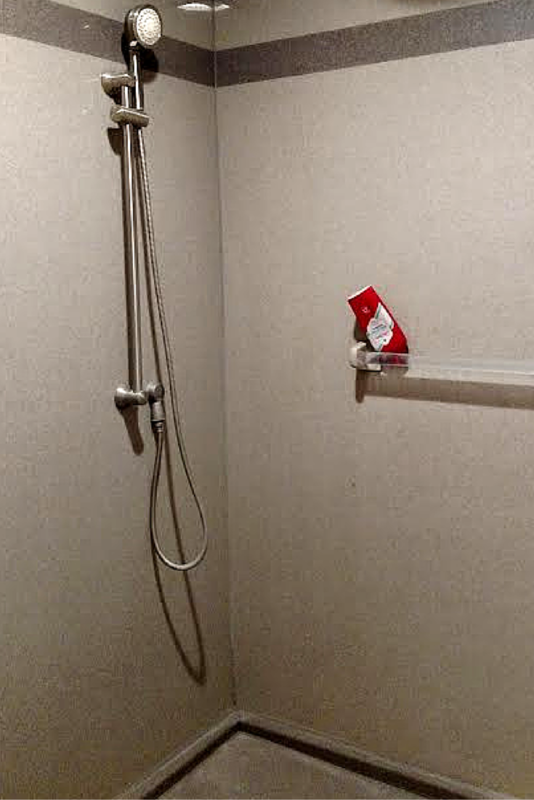 With the PVC backed composite wall panels the edge trim is actually standard in the DIY shower kits. • Corner trim – This trim is placed on the inside corners between panels and is chosen for it’s ability to provide additional water protection or to just create a more finished look. • For traditional spaces – The wall system used the most frequently with classic spaces is the stone solid surface line. 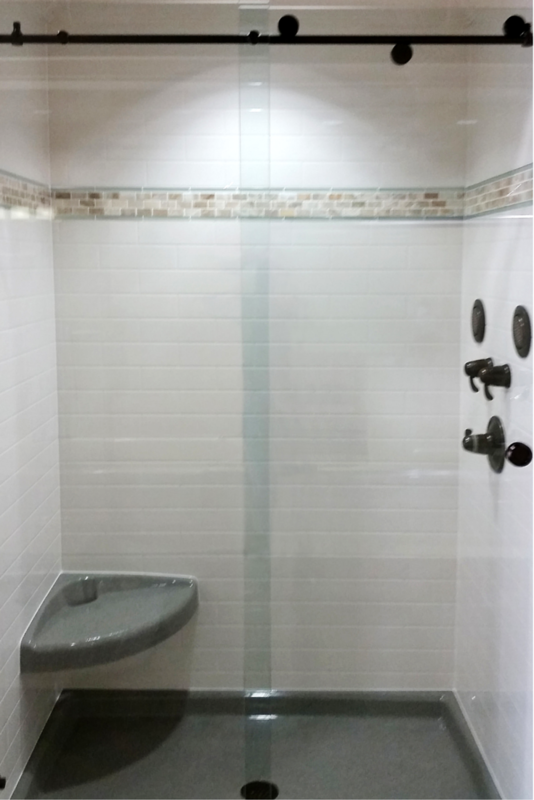 This offering is available in stone and tile looks and has traditional options like crown molding and decorative rope trim. • For a contemporary look – The laminated shower wall panel line has the clean lines associated with today’s bathroom designs. The textured accents in this line provide a fun and interesting look as well. • For the lowest priced option – The decorative PVC backed composite wall panel kits look like natural stone – but are also very cost effective to purchase and simple to install. 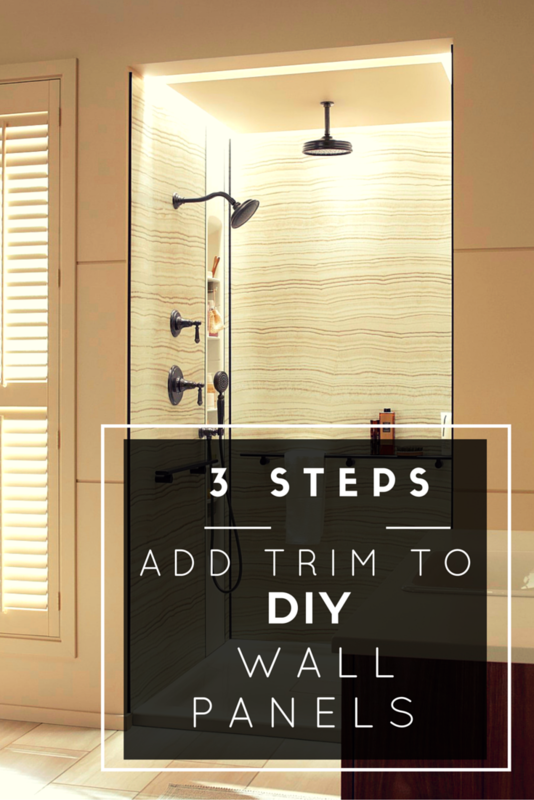 What questions or comments do you have about trims and borders for DIY shower and tub wall panels? Comment or call the numbers below for pricing, design information or free samples of these product lines. Beth – I know our installation guys use denatured alcohol to remove stains in many cases. You may want to give that a try. We took out a shower door that was installed 25 years ago. 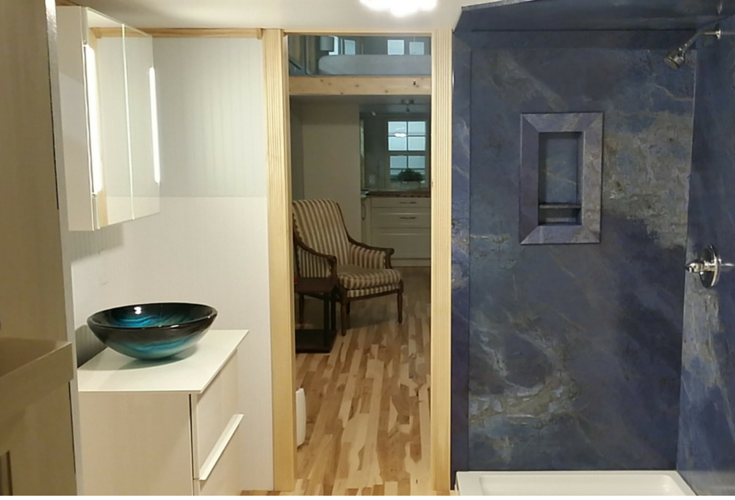 It left a yellow stain where the door frame was on the faux marble. The stain is embedded in the marble. 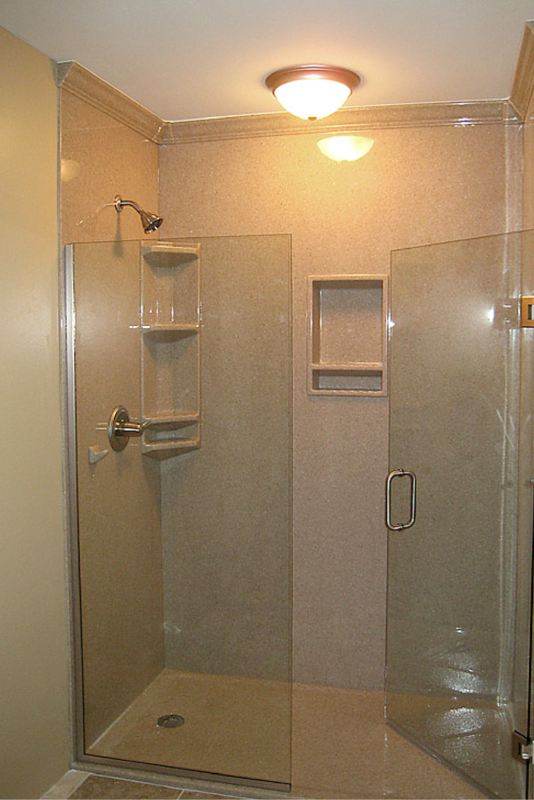 We want to replace door with shower curtain but need a solution to the discoloration if marble. Any suggestions?